A lush mix of spring including hydrangea, roses and Cymbidium orchids in a cascading design accompanied by our Fraiche Valentine’s Petite Fours. For local delivery only. 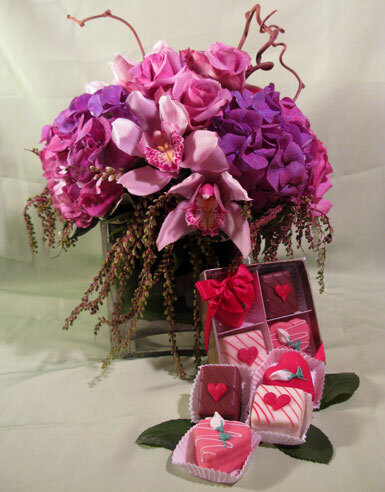 We create beautiful lavender floral arrangements, lavender roses arrangements with mixed lavender flowers. We will have your lavender flowers delivered promptly to your home or office in Beverly Hills, West Hollywood, Santa Monica and greater Los Angeles area.